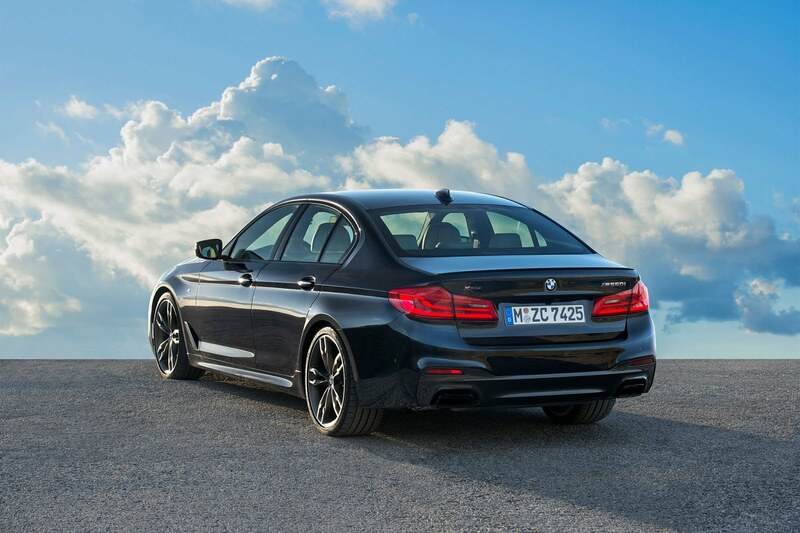 Home › Uncategories › With A BMW M550i xDrive This Good, Who Needs An M5? The BMW M550i is one heck of a set of wheels. With 456 horsepower and 480 lb-ft of torque on tap, it’ll rocket to 60 in under four seconds – making it quicker than the previous M5 with which it shares its 4.4-liter twin-turbo V8, and just half a second more lethargic than the new one. If that new M5 weren’t such a bonkers performance machine, we’d scarcely think it’d be necessary. In fact, looking at this particular machine, we can’t help but wonder if this wouldn’t be the one we’d want. On display at the world’s largest BMW dealership, located in the Persian Gulf emirate of Abu Dhabi, is a brand-new M550i xDrive, all decked out in white with a deep brown leather interior. Making it even more tempting is the optional M Performance body kit it wears and those oversized 20-inch alloys in a dark grey finish. Even more compelling is the price gap from this model to the full-on M5. While the top-level model will set you back over $100k in these United States, the M550i sells for less than $75k. That’s a heck of a difference – about enough to buy a base Ford Mustang with the EcoBoost turbo four. If we didn’t have the six figures to spend, we get the feeling we’d be plenty satisfied with the next best thing. Shame that, with new emissions regulations coming into effect, the Bavarian automaker has reportedly had to shut down production of the M550i – albeit only temporarily. Here’s hoping that when it reemerges with new restrictions in place, it won’t prove any less tempting. 0 Response to "With A BMW M550i xDrive This Good, Who Needs An M5?"